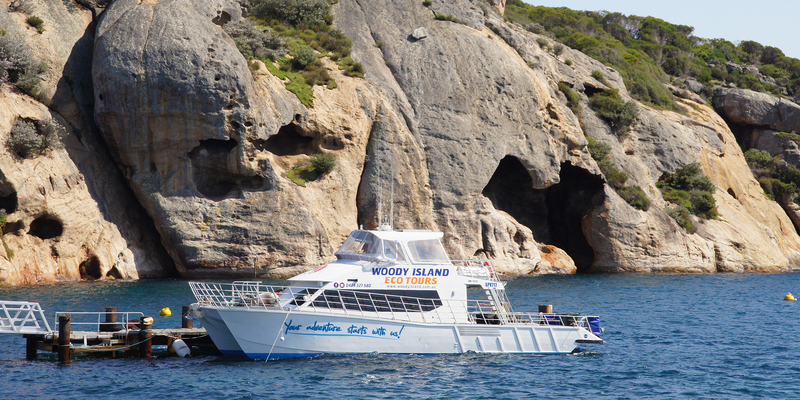 Woody Island has rugged granite outcrops, tall eucalypts, diverse bushland and small secluded bays. The Island is an A Class Nature Reserve, set aside for the primary purpose of conservation, and managed to maintain & restore the natural environment, and to protect, care for & promote the study of indigenous flora & fauna. 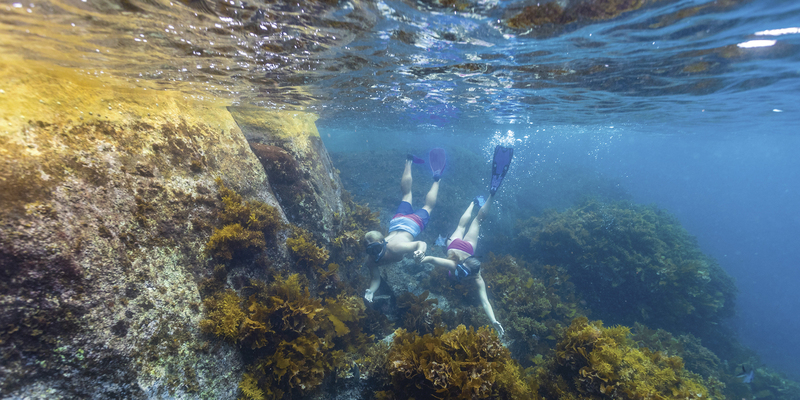 Woody Island is vested in the Conservation Commission of Western Australia and managed by the Department of Parks and Wildlife (DPaW). DPaW has the lead responsibility for conserving native plants, animals and eco-systems and in partnership with Woody Island Eco Tours, a variety of eco friendly resources have been installed to support this goal. Water is the most valuable resource on Woody Island and all building rooves collect rainwater that drains to a lower central tank. For every 1mm of rain, approximately 1500L of rain water is collected. The water is then pumped into 100,000L storage tanks that supply the water for the island. Water saving devices such as AAA shower heads and low water, dual flush toilets have been installed. 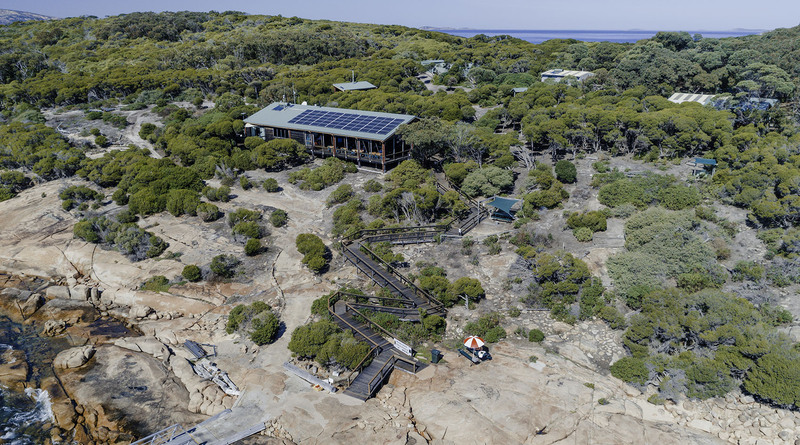 The solar panel system on Woody Island was updated in 2017 by installing 60 new panels on the Visitors Centre roof, along with battery storage. This means that the backup diesel generator is needed less than 10% of the time. This is a big deal when everything has to be bought to the island by boat. The upgrade is better for the environment and better for our guests, who can now here the sounds of nature clearer than ever. Composting toilet blocks have been installed on the island to help save water. All recyclable waste products, eg aluminium cans & glass, are separated on the island and taken to the mainland for recycling. Non-recyclable waste products are removed to the mainland on the daily ferry. The Visitors Centre and associated buildings have been completely rewired and the existing fluoro lighting replaced by environmentally friendly LED lighting. 95% of the energy in LEDs is converted into light and only 5% is wasted as heat, which means a reduction in energy use long-term. Continued re-vegetation is necessary to ensure disturbed or high traffic areas such as around the Visitor Centre are regenerated to keep the dust down and provide habitat for native animals. An ongoing tree-planting program continues with re-planting of trees native to Woody Island. No introduced species or off island soil is allowed to be transported to the island. Grey water is collected and used to irrigate the re-vegetation areas. To reduce the fire danger around the infrastructure on the island, ongoing fuel reduction is required. All strategies are designed to minimise impact to the natural environment. Combined with a dry winter and limited water supply, fire poses a very serious threat. 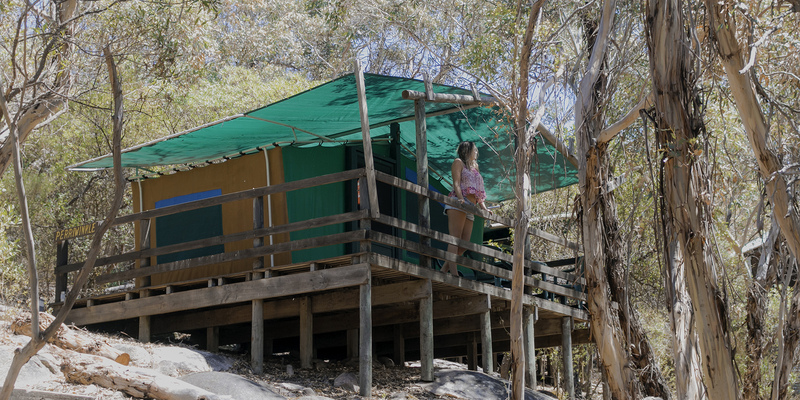 The Woody Island designated smoke-free zone includes the Visitor Centre, Camper’s Kitchen, general camping & safari hut accommodations, ablution blocks. If you do smoke, please smoke in the designated areas and dispose of your butts in the bins provided. Don’t litter– dispose of your rubbish in the bins provided. Please separate recycling materials from general rubbish and put in recycling bins. 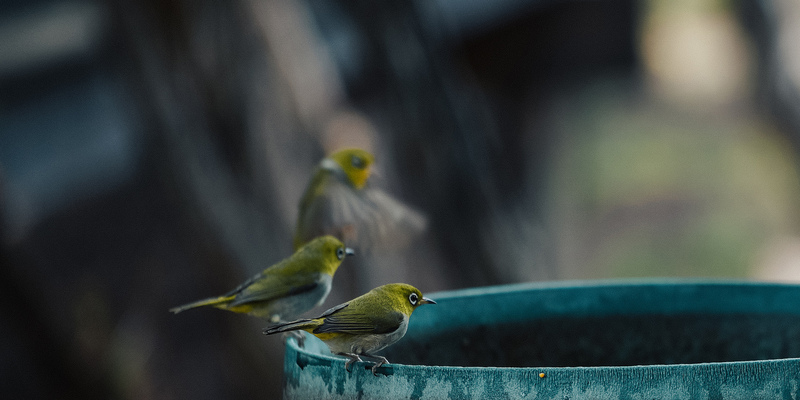 Respect animals– observe native animals in their natural environment from a safe distance and do not feed them. Respect seabird nesting sites and stay clear of burrows. Stay on the track– keep to designated walk tracks to help prevent erosion and disturbance of flora & fauna. Be water-wise– be aware of & conserve your water usage. Only have one four-minute shower per day.